According to National surveys, there were 1.5 million current cocaine users in the United States in 2011. Unfortunately, and in spite of the tremendous health burden, there is currently no FDA approved medication for the treatment of addiction to a stimulant drug like cocaine. Scientists have documented many brain changes associated with the disease of addiction, particularly those that help explain the compulsive and relapsing nature of the disease. Much of the focus has been on the changes in connectivity among neurons (so called synaptic plasticity) that reside in circuits chronically exposed to a drug of abuse. However, many studies have now suggested that another type of brain cell called glia may play a major regulatory role in synaptic plasticity and thus influence the behavioral responses to drugs of abuse. 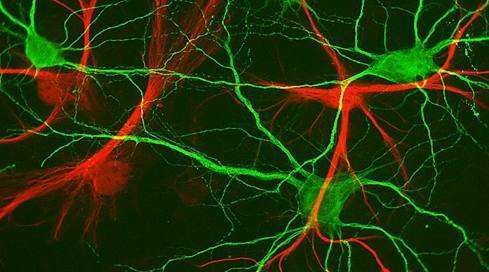 In this study, researchers used mice that were genetically engineered so that their glia cells lack the ability to release chemical transmitters rendering unable to influence the communication between neighboring neurons. They found that mice with the defective glia lost the ability to reinstate cocaine-seeking behaviors when exposed to a drug-related cue like normal mice did. The finding that an intact glia network is necessary for reinstatement of drug-seeking behaviors in rodents points to gliotransmission as a promising new target for developing interventions designed to prevent relapse among individuals addicted to cocaine and, likely, other drugs.